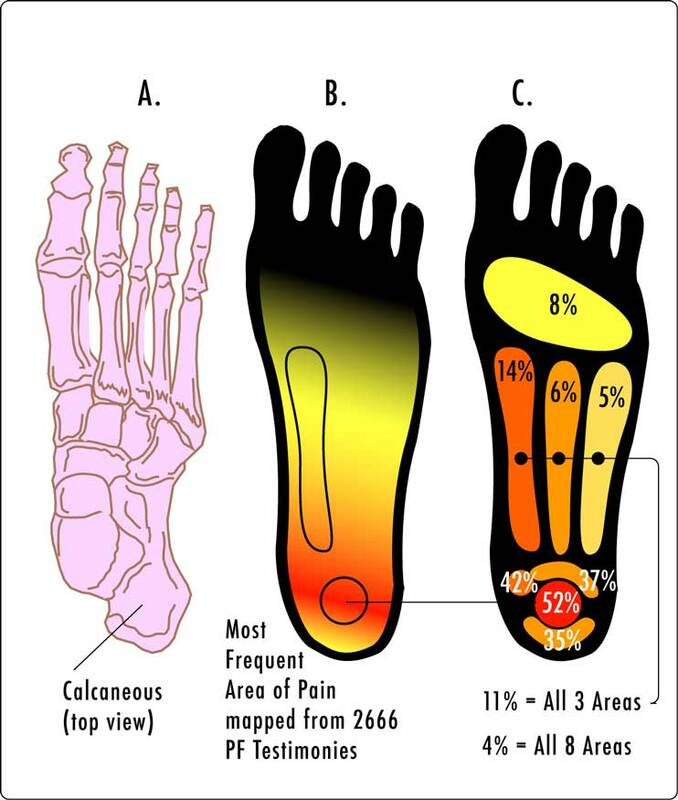 Achy, sore feet is one of the most common complaints in the podiatrist’s office. So many New Yorkers spend the entire day on their feet, so it’s no wonder they encounter soreness on a regular basis. When you are standing, there are two strong forces: ground contact pushing up from below and weight bearing down from up top. Standing for long periods of time strains the circulatory system, causing muscle fatigue and inflamed veins. Constant pressure can cause bone misalignment, tendon strain, and joint degeneration over time. When you walking, a myriad of other factors come into play during a typical gait cycle, which moves from heel contact, to load bearing, to push off. Most damage occurs transitioning from the contact to load-bearing phases, as the foot may roll inward or outward excessively to accommodate the increased weight. This may shift the knees, hips, pelvis and spine out of alignment, causing a spiral of pain all over the body. Q: What Is The First Step In Treating Achy, Sore Feet? A: The first step of addressing foot soreness is to inspect your footwear. How long has it been since you bought new shoes? If it’s been longer than six months, then make that a priority. What kind of shoes are you wearing? At the very least, you need arch support from a supportive sole that does not bend easily. Of course, shoe choice is a complicated process, with so many brands and types of specialized shoes out there. We are happy to help if you stop in to see us! Another way podiatrists can help is to fit you with custom orthotic shoe inserts that are molded to fit the contour of your unique feet and add support to any pair of shoes you own. Many people are surprised at how much this simple adjustment helps with day-to-day aches and pains! Best of all, your insurance company is likely to cover 50-75% of the cost. Q: What Else Can I Do For Aching Feet At Home? A: We also recommend stretching out your feet and calf muscles twice a day to relieve tightness and pain. Running your feet over a frozen water bottle or tennis ball is a great way to relieve pain in the arches of your feet. Foot massage stimulates the circulatory system and prompts rejuvenation of the soft tissues as well. Q: Does Soaking The Feet Help? A: We haven’t seen any compelling science that suggests foot soaks are an effective way to relieve muscle soreness. However, anecdotal evidence suggests that foot soaks can be rather relaxing and therapeutic. Epsom Salt, in particular, is believed to draw excess fluid and toxins from the feet to help diminish swelling. In addition to Epsom salt, you can add essential oils like cedarwood, juniper berry, cypress oil, tea tree oil, lavender, rosemary, cypress, or wintergreen. A teaspoon of whole milk helps the oil blend with the water better. Just a 10-15 minute soak in warm water should be all you need. Q: Are High Heels The Problem? A: You will hear some podiatrists condemn heels unanimously. After all, heels do push your entire weight down onto the balls of your feet, which has been known to contribute to a nerve problem called metatarsalgia, in particular. We feel there is a time and a place for formality. There are killer stilettos… and then there are reasonable heels that can be worn for a few hours, as necessary. We recommend choosing shoes with wider toe boxes that do not pinch the feet, wearing different shoes like runners for the commute to and from work, choosing a heel that is less than 3 inches in height, and outfitting your heels with extra cushioning. Q: How Much Will Weight Loss Help? A: We tell patients that every pound of weight loss equates to 3-4 pounds in decreased pressure on the feet. Just make sure you’re buying the right type of shoe for the exercises you do, so you don’t make your foot pain worse! Q: Could My Foot Pain Be A Sign Of A More Serious Issue? A: Often, foot pain is just a bit of inflammation and strain on the muscles, tendons, ligaments and joints in the feet. Other times, these structures tear a little bit or rupture completely, causing the need for medical intervention. Stress fractures in the bones often accompany soft tissue injuries. Arthritis is a common issue that comes along with aging and injury recovery that must be addressed by a foot doctor. Serious total body illnesses like Diabetes and Peripheral Artery Disease are often first diagnosed with a careful examination of the feet as well. If you live near Westchester or Manhattan, contact The Center for Podiatric Care and Sports Medicine for access to expert counsel and the latest advances in podiatric medicine. » MLB News: Did Yankee’s Catcher Brian McCann Sustain A Lisfranc Foot Injury?